Wayne Riendeau, MA, LCPC received his MA in Clinical Mental Health Counseling from Concordia University Chicago. His counseling background includes extensive experience working with couples, adults, adolescents and children in private practice, as well as behavioral healthcare settings, including inpatient and outpatient counseling for adults and adolescents. 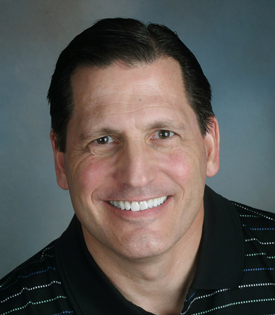 Wayne Riendeau, MA, LCPC received his MA in Clinical Mental Health Counseling from Concordia University Chicago. His counseling background includes extensive experience working with couples, adults, adolescents, children and families in private practice and behavioral healthcare settings, including inpatient and outpatient counseling for adults and adolescents. Do you and your spouse or partner seem ‘stuck’ in the same patterns of conflict/resolution/conflict on an almost-daily basis? I will help you learn new ways of relating to each other, and help you recapture the kind of love, intimacy, fun and playfulness you experienced in the early days of your relationship. As a parent, are you desperate to find better ways of being able to relate to each other within the family, and yearn for a more peaceful, cooperative home environment with your spouse and your children? I have counseled over 2,000 adolescents and children, including dozens of teenagers who identify as LGBTQ. What I do best is help families develop better ways of communicating and give them tools as to how to relate in ways that create a more peaceful home, where negative behavior and defiant attitudes give way to mutual cooperation and higher levels of trust and respect between every family member. If you’re facing a serious life transition, have deep concerns about your marriage, your family, a close relationship, are on a faith journey, or are seeking Christian counseling — then I am the counselor you’ve been looking for.